Rev. Dr. Patricia A. Phillips was tutored and prepared for ministry under the leadership and mentorship of the Late Dr. Benjamin Smith, Sr. late Pastor and Founder of Deliverance Evangelistic Church located in Philadelphia, Pennsylvania where she faithfully served in various areas of ministries such as: Worship Leader, Pulpit Minister, Director of the 24 hour Prayer Chain Hotline, director of the Telephone Evangelism, Teacher on the Faculty of the Deliverance Evangelistic Bible Institute, Church Coordinator over 80 ministries, training, delegating and motivating leaders. 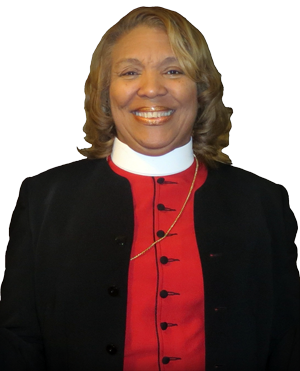 Apostle Patricia A. Phillips, D.D. She has conducted numerous seminars and workshops on the following topics: "Singles," "Understanding the Youth," "Leadership," "The Art of Prayer," "The Role of the Christian Female," "The Art of Soul Winning", "Street Evangelism" and "Soul Winning". She is the Pastor and Founder of Nothing But the Word Delivernce Church and an Associate Pastor under the Deliverance Evangelistic Association Fellowship of Churches; Rev. Glenn Spaulding is the Senior Pastor. After some years of hearing the call to The Apostleship from the Lord, Dr. Phillips finally answered this call and is now walking in the full authority of the Office of Apostle. Apostle Phillips is the Founder & Presiding of Word Covenant Fellowship of Churches, International and Pat Phillips Ministries, which includes "Hurting Women", "Women In Warfare" , "Prayer, Power & Praise" and "The Total Woman" Conferences and End Time Hour Revivals. She is the author of "Words to Live By" - a workbook designed to encourage the study of the scriptures. The Lord has blessed Apostle to release her book entitled, "Gods Total Woman Empowered For Life!" This anointed book will bless you Spiritually, Physically and Naturally! It has not only blessed so many in the United States, but Internationally as well! Apostle Phillips has boldly preached the Gospel of Jesus Christ in the streets, shelters & nursing homes and in the men and women prison facilities for many years and continues to do so. Through the leading of the Holy Spirit, she conducts revivals in the Tri-State area and abroad; she has done revivals in Jamaica, the Bahamas and in the Philippines exemplifying the powerful results of healings, miracles, signs and wonders, souls being delivered and saved! Where ever God sends her, she's ready to go! There has been a "Shift" in the atmosphere through the manifestation of God's power and presence that continues to flow in her in a greater "Anointing" by God's divine order as she Preaches and Teaches an End Time Word, in This End-Time Hour!